Click on the image or green text for more information and purchasing via Paypal. 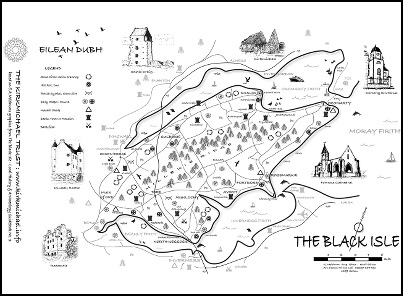 a representation of the Black Isle with graphics of attractions and places of interest. This is based on a map and sketches by Edward Meldrum and updated with Kirkmichael Trust information. Price £4.00, postage and packing as per location / delivery method. 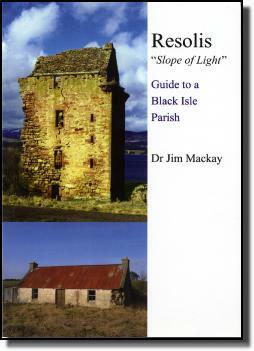 a bright guidebook to Resolis, the Black Isle parish, packed with information, the text of the 140 page book is supplemented by more than 70 photographs. Price £9.75. Postage and Packing as per location / method of delivery. 16-page commemorative booklet, produced with the assistance of Jane Duncan’s family and Millrace Books. 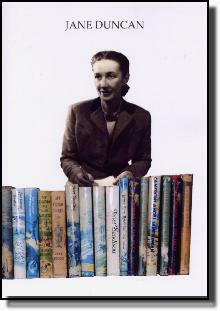 The booklet includes photographs of the author and her family; examples of her early, unpublished, writing; extracts from her diaries; and an appreciation written by Dr. Fiona Thompson of Leeds Trinity University College. Price £4.00. Postage and Packing as per location / method of delivery. 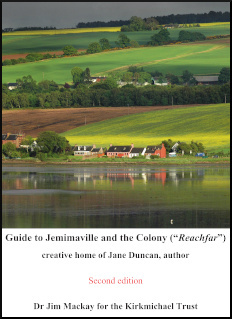 a guide to Jemimaville and the Colony ("Reachfar") creative home of Jane Duncan, author. Packed with information and photographs, both historic and modern, this booklet tells the story of the author Jane Duncan in her creative home, Jemimaville and the Colony ("Reachfar" of her books). Combined with a history of Jemimaville, the Colony and her family of Camerons, you are guided on a tour through the village in one of the most scenic locations in Scotland. Price £4.00. Postage and Packing as per location / method of delivery. 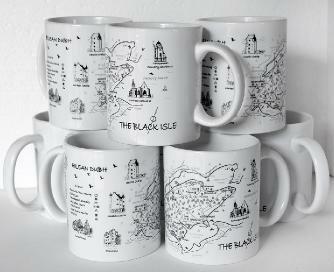 A new design of the Black Isle map (see 1 above) has been reproduced on good quality earthenware mugs by the Kirkmichael Trust. It represents places and items of interest on the peninsula and is a sensitive redesign to reproduce on the mug effectively. Price £6.00 each. Postage and packing as per location / method of delivery. NOTE: These items are packed in special polystyrene cases to keep them safe in transit.